truly representative. These assemblies became forums where reformist gentry banded together to begin petitioning movements that pressed for faster change. 3 petitions calling for the immediate convocation of parliament were sent to Beijing from the assemblies between 1908 and 1910, with the largest one received on October 3 1910, signed by 25 million gentry and officials1. Frustrated at the slow pace of change, members of the provincial assemblies formed what was, in effect, a political party: ‘Friends of the Constitution’, which began in November 1909 and drew delegates from 16 provinces, showing the increasingly revolutionary nature of sections of the gentry. 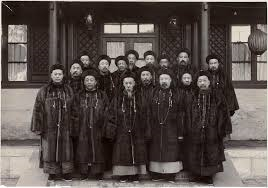 The then-Emperor Prince Chun further angered this group by ordering the regime’s most competent army moderniser, Yuan Shikai, to retire on January 2 1909 and announcing himself sole commander-in-chief of both the army and navy despite possessing little military expertise. Although the dynasty eventually yielded to the petitioning of provincial assemblymen, opening the National Assembly (parliament) in October 1910, it retained a large degree of control over this body, stipulating that half of its members would be appointed by the dynasty itself rather than elected. While for some the government’s change of pace was too slow, others protested the reforms as too radical, seeing reformers as puppets of foreign powers. 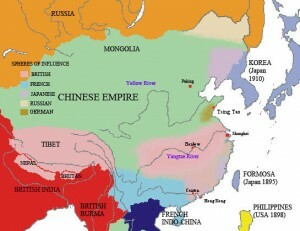 Sections of the gentry adopted a conservative stance that called for an end to railway construction, which was seen as disruptive to the Feng Shui of the country and was also largely foreign-controlled, the disbandment of new armies, the closure of modern schools and the diversion of funds used for reform to pay for food for the people. This group’s discontent with the Qing regime grew further when conservative gentry were reduced in rank following an outburst of anti-foreign violence, led by workers and incited by officials, in Hubei and Hunan provinces. 93% of China’s railroads being foreign-owned by March 1911. The largest Chinese stake in the railroads belonged to the Sichuan-Hankou Railway Company. This Company was established in 1905 and sold shares to the public, with much of the Sichuan gentry and merchant class investing in it and owners of the land on which the railroad was to be built automatically being given shares. A special 3% tax was also levied on the population to fund the enterprise. However, corruption and mismanagement by government-appointed administrators meant that by 1911 only 10 miles of track had been laid, leading the Qing government to turn to foreign lenders in the hope that they would be more efficient. On May 9 1911, a decree announced the nationalization of railroads, meaning all private companies lost the railroad contracts they had previously held. Those who had invested in companies such as Sichuan-Hankou were only partially compensated for their losses, being paid in government bonds, which were prone to depreciation, rather than silver. To add insult to injury, on May 20 1911 the government pledged the rights to operate two of the biggest railroads, Sichuan-Hankou and Hankou-Guandong, to foreigners in exchange for a 10 million pound loan. Angered at this betrayal and losing out on profit, Sichuan provincial assemblymen, many of whom had had a stake in the company, formed the Railway Protection League on June 17 – this quasi-army would become a key agitator in the revolution that brought down the Qing regime. Despite the modernising reforms of the Qing and the growth of the business class, the conditions of peasants had not much improved since the 1890’s. Young peasant men could expect to be hired for only 30-40 days a year, and the payment for their services was determined by landlords. The price of wheat, barley, wine and pork doubled from 1898 to 1908. The government was spending 25% more money than it was receiving, meaning taxes were raised to cover this shortfall – in Sichuan taxes on tobacco, wine and salt were raised, while in Jiangxi a riot broke out in 1904 against a new tax on indigo, the region’s main industrial crop, which was intended to finance a new education program2. Despite the reforms, confrontation remained the only way for the mass of poor people to make an impact – there were 653 insurrections of varying sizes between 1896 and 19113. China’s working class, although growing, was still comparatively small, making up less than 3% of the population. This class too, however, found cause to be unsatisfied with the Qing – they saw the government as being beholden to foreign powers and enterprises, whose imports threatened Chinese businesses. Rival foreign plants in major Chinese cities were sometimes attacked by Chinese workers. This sense of the government being powerless against foreign encroachment was strengthened by the Tatsu Maru incident of 1908. A Japanese ship (Tatsu Maru) carrying an arms shipment for a Chinese revolutionary group was detained by China – Japan demanded that the ship be released and an apology made. Outraged with these demands, which they saw as humiliating, merchants in Canton launched a boycott of Japanese goods, which spread throughout China, as did anti-Japanese protests. However, under pressure from Japan, the Imperial government ordered the boycott to end on March 21. This caused further anger amongst protesting workers, as it showed the government as weak in the face of foreign pressure and unable to protect the national interest.